There are signals of a new dynamism of the religious left in the U.S. for similar—if opposite—reasons to those that drove the Moral Majority on the right 40 years ago, writes Tom Gjelten in NPR News (Jan. 24). While they are still primarily “[keeping] their focus on protest rallies and social media campaigns” and remain very far from the level of organization and influence displayed by groups on the religious right, religious voters on the left resent the “provocations of President Trump” as an assault on beliefs and values that they hold dear and see as strongly related to their Christian faith—support for immigrant rights, universal health care, LGBTQ rights and racial justice. Among those attempting to mobilize the religious left, Gjelten mentions Faith in Public Life, a network founded in 2005 by Rev. Jennifer Butler (Presbyterian) and claiming to gather 50,000 “clergy and faith leaders united in the prophetic pursuit of justice and the common good,” as well as the “Moral Monday” movement, and Poor People’s campaign launched by Rev. 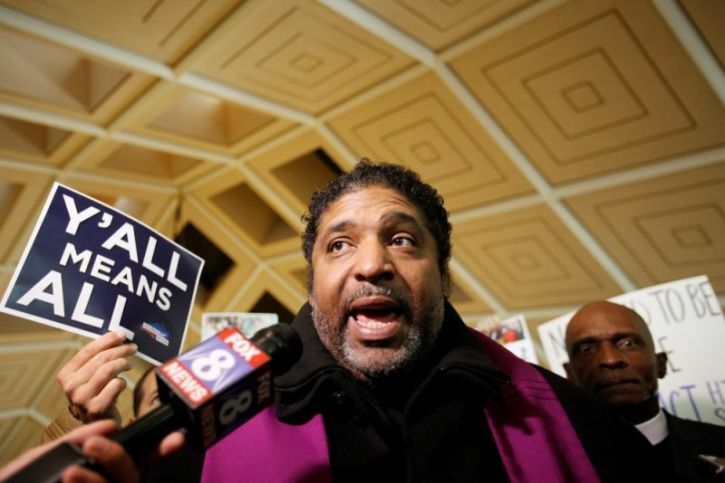 William Barber, an African-American preacher from North Carolina. Barber cooperates with Butler and addressed the Democrats at their last national convention. Gjelten adds that secular activists on the left are also becoming open to the energy that a religious left might bring to their causes. However, the article also identifies hurdles for the religious left in its quest for impact. It still lacks the sophistication and experience of the religious right. It has a smaller base than the right, with nearly half of liberals under 30 having no religious affiliation. It has more difficulty defining a clear identity, with agendas quite similar to those of secular organizations of the left. On the other hand, its strength may lie in its ability for bridge-building in an increasingly diverse, multifaith American environment.